Getting the right content to the right people at the right time is tough, especially when you need to meet the unique needs of audiences and teams spread across the globe. You must create compelling, on-brand content with consistent messaging, but also flex to accommodate different language, regional, and cultural demands. The scale alone can send you into complete and utter panic mode. But, have no fear - DAM is here! 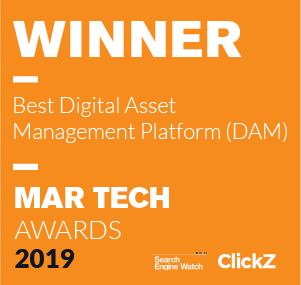 Learn why a digital asset management (DAM) solution, specifically the Widen Collective, is critical to helping global organizations like yours rise above the content chaos to deliver meaningful and powerful digital experiences. Let’s dive in. #1 DAM takes the guesswork out of storytelling. Every business has a story to tell and it’s told by many through content. This digital content needs a home. If you have videos, images, and marketing materials stored on desktops and buried deep within shared drives, how will dispersed teams know which version is the latest or even legally safe to use? A DAM solution, like the Widen Collective, takes the guesswork out of brand management by providing employees and partners with a content hub, or single source of truth. By ensuring that everyone — no matter their country or business sector — has access to the right assets, you’re protecting your brand and empowering employees to share your story how it’s meant to be shared. Plus, the platform’s rich metadata capabilities ensures that people can search for and actually find the assets they need to support their storytelling efforts. #2 DAM gives you control. When legal needs to pull an asset from circulation, what happens? If that asset was your sales rep’s favorite demo video and it’s still living in a team shared folder, who’s making sure it’s no longer available? This is a problem. Now picture this happening over and over again, from country to country, and department to department. This asset-sharing method is both inefficient and risky. Whether controlling for off-brand content or safeguarding against licensing and legal missteps, you’re responsible for protecting your brand. The Collective enables enterprise-level asset governance, giving you the control you need. For example, you can set release and expiration dates for time-sensitive assets. Or, you can set permission levels by user groups so only the right people can view, download, or share designated assets. #3 DAM plays nicely with your other go-to tools. There’s no doubt that your marketing, creative, and sales teams use a variety of tools and technologies to organize, scale, and automate their daily activities. And, aren’t these tools more powerful when they work together? The Collective connects the software solutions you use every day, allowing you to manage your content from a single, central location while powering and communicating with your other systems. For example, you can use the Collective with your marketing automation tool so each regional office can quickly embed approved assets into email campaigns. And, since your assets “live” in your DAM solution, any embed codes shared across all web pages will automatically update to the latest version - no republishing required! #4 DAM gives you global scale, with the support for localization. If you’re a global organization, you probably have local or regional needs too. 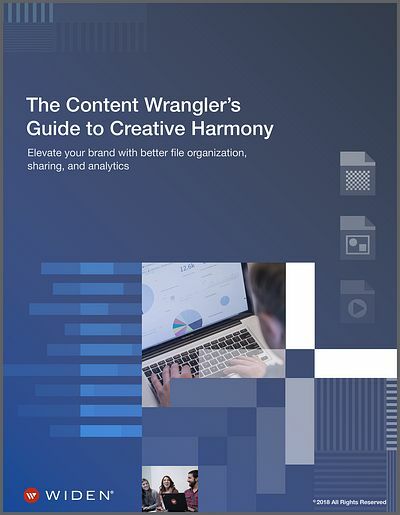 For enterprise-level organizations, it’s incredibly challenging to scale your content efforts and also allow individual teams to customize materials for their local or regional audiences. Widen apps, Templates and Portals, help global organizations facilitate controlled customization and localization at scale. By using Templates, organizations can empower their teams to localize materials, like sell sheets and brochures, while keeping assets on brand. And, with Portals, organizations can easily share personalized groups of assets with outside partners or teams for specific needs. #5 DAM helps you make smarter content decisions. If you’re spending time and money producing content, don’t you want to get a return on your investment? 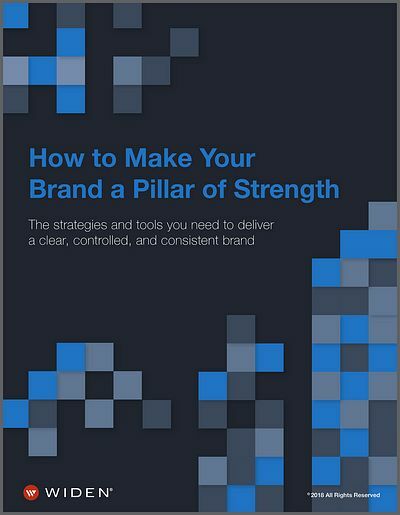 And, wouldn’t it make sense for your marketing teams to push the strongest brand assets in their marketing communications? When global organizations use the Collective, they can access the insights they need to make data-backed decisions about their marketing content. By understanding who’s using your content, where, when, and how, you can effectively optimize your efforts. When you understand what works and what doesn’t, you can get the right content to the right people at the right time! Engaging with internal, partner, and customer audiences is no easy feat, especially for global organizations. 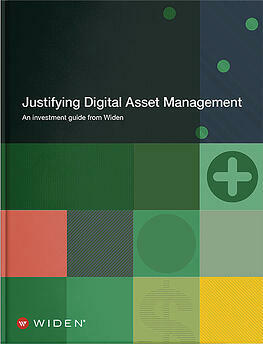 But, the right digital asset management solution can help. At Widen, we build high-performing software that empowers global organizations to create compelling, meaningful, and measurable digital experiences using a variety of tools and solutions. To learn more about our DAM solution today or read about how DAM helps Zeiss Microscopy overcome their greatest global challenges.